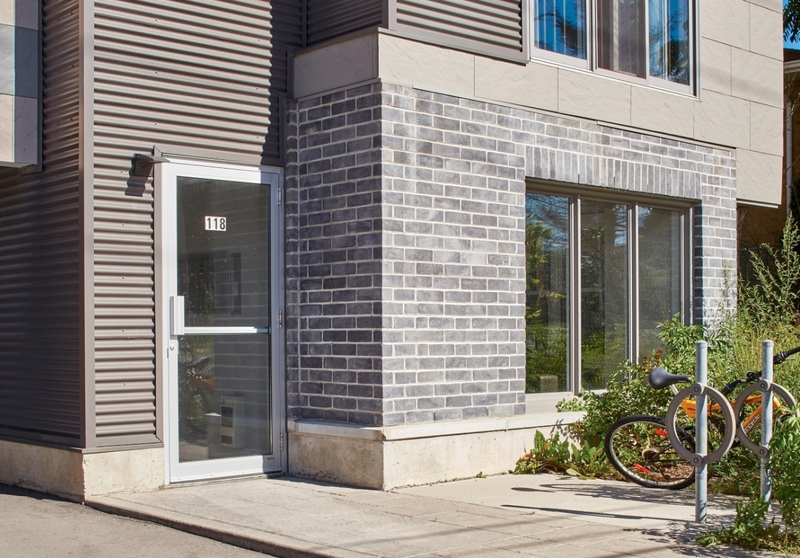 This 4-storey apartment building increases the density of a single dwelling lot and creates a contemporary, pedestrian-friendly street frontage with landscaping and bicycle parking. Car parking is tucked away at the rear of the property. 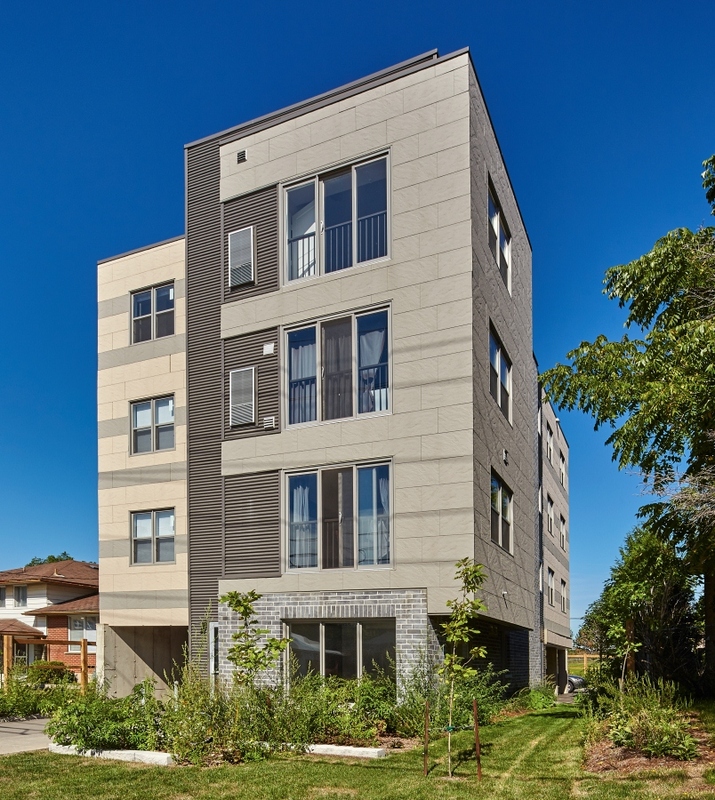 This project is one of a series of skinny buildings Masri O Architects has designed in Waterloo, which play with the constraints of tight sites to create attractive and dense spaces for urban living.